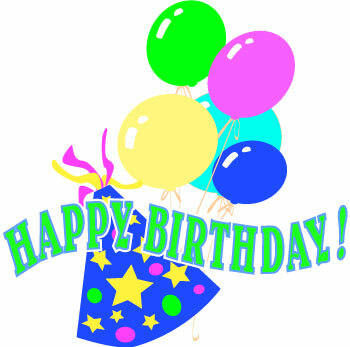 Colorful birthday clip art balloons and partyhats decorate this birthday banner graphic. Design birthday party invites, decorations, party favors, treat bags, Happy Birthday cards, scrapbook layouts and gift tags. Birthday banner graphic with word art, balloons & party hats clip art.